A practically perfect selection of thirteen of the best-loved of the Grimm’s collected tales, retold with a simplicity worthy of their depth, and illustrated with a beauty and innocence that will invite a child’s heart of roam these worlds. Each story is accompanied by charming illustrations from prolific children’s illustrator Anastasiya Archipova, with words and pictures mixing on nearly every page. 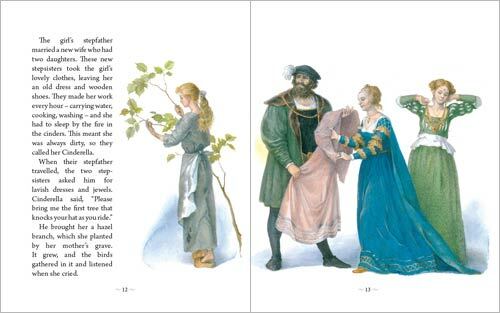 A beautiful edition for any bookshelf, especially with companion volume, An Illustrated Treasury of Hans Christian Andersen’s Fairy Tales. 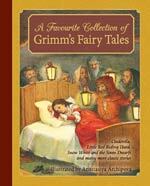 Jacob and Wilhelm Grimm’s collections of folk and fairy tales have been loved for generations. Famous for being The Brothers Grimm, they were also German professors. Anastasiya Archipova has illustrated many children’s books including many traditional fairy tales. She lives in Moscow.